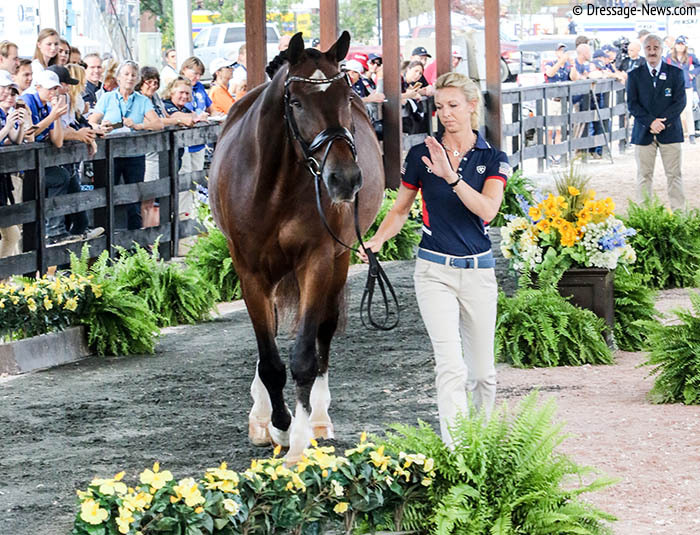 TRYON, North Carolina, Sept. 11, 2018–German superstars Isabell Werth and Sönke Rothenberger expect the United States to present the biggest challenge for World Equestrian Games team gold medal on Tuesday naming Laura Graves on Verdades and Kasey Perry-Glass on Dublet as most likely the highest scoring Americans. The predictions came the day before the start of dressage competition with the major hurricane Florence three days away from expected impact 200 miles/320km away on the Carolina coast seen as the the biggest threat to the WEG, the championships of eight international horse sports staged once every four years. The organiers described the Tryon area as a “safe haven” for equestrians escaping from the major impact area of storms. 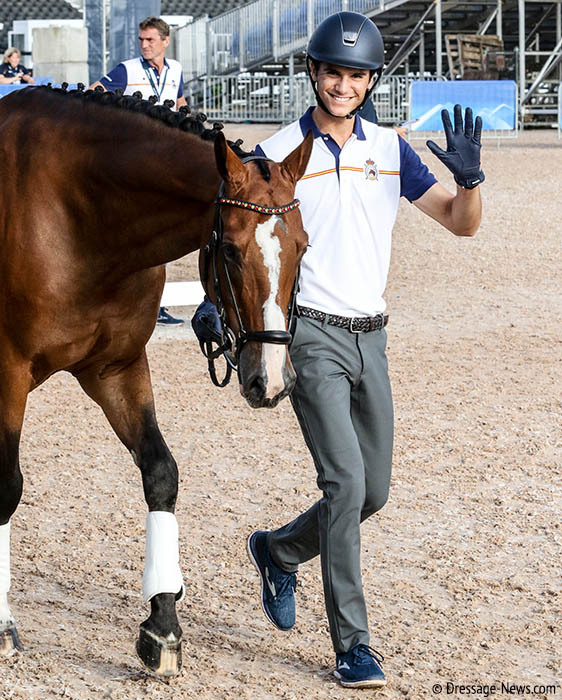 The inspection of 78 horses–with teams from 15 nations making up the largest number of 60 combinations–on Tuesday morning cleared all but two horses, Bluefields Floreno ridden by Alexis Hellyer for Australia and Portugal’s Bariloche ridden by Vasco Mira Godinho. They get a second chance early Wednesday to pass inspection as fit to compete. Although construction was going on at the VIP/Media Center directlty behind the horse inspection, riders from Germany, Great Britain and other teams raved about the Tryon International Equestrian Center that is hosting the WEG on just two years notice having saved the event when Canada did not have the money to hold it. 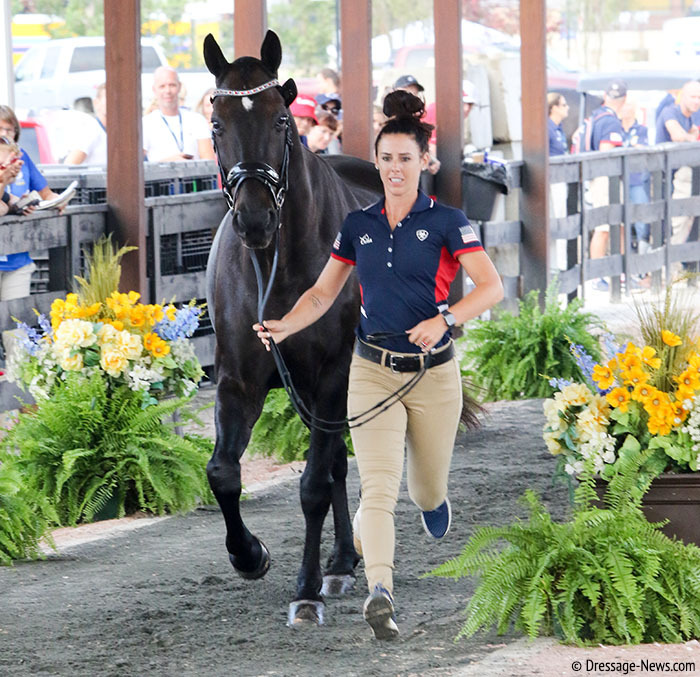 Bella Rose returned to competition just three months ago after almost four years following the 2014 WEG dealing with a persistent injury. Although the most successful equestrian in history with 10 Olympic medals, Isabell made it clear she preferred to ride Bella Rose rather than Weihegold on whch she is ranked No. 1 in the world or Emilio at No. 2. Cosmo was also out of competition for a short while this summer and after a long break following the European Championships last year. 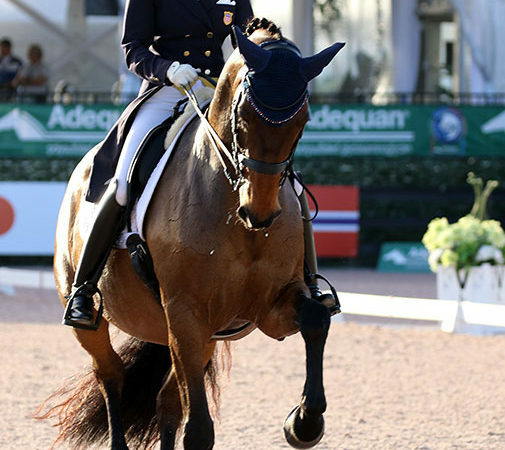 Isabell and Sönke both said the Americans showed their strength at the World Equestrian Festival in Aachen, Germany in July when they led the Nations Cup after the Grand Prix, which will be the deciding class here. Cosmo was not on that German team. Laura and Verdades won the CDIO5* Grand Prix and Kasey and Dublet placed fifth, moved up to third in the Grand Prix Special and was reserve champion in the Grand Prix Freestyle. Germany has won six of the seven WEG’s that have been staged since the inaugural combined championships in 1990. The Netherlands led by Edward Gal on Totilas won at the 2010 Kentucky games. The best finish for the U.S. was in 2002 when the team won silver. If the predictions of Germany and the U.S. capturing gold and silver, several teams are in the running for bronze–the Great Britain, Netherlands, Sweden. Six nations will also qualify for the 2020 Olympics in Tokyo. The horse inspection was held while construction was going on at the VIP/Media Center directlty behind the trot path. Some spectators who had paid high prices for tables expressed concerns the building would not be ready. A few riders and grooms reported their horses–Isabell’s Bella Rose and Sönke’s Cosmo, among them–would not drink the water, that is pumped from wells and smells of sulphur and other chemicals. As a result, they’re buying water from a nearby Walmart, that could be a concern if local residents stock up on supplies with the arrival of Hurricane Florence. And Isabell, who flew from Europe with Bella Rose last week, decried the U.S. quarantine procedures and handling by Department of Agriculture officials as unecessarily “American complicated.” The horses and riders did not encounter such difficulties at the 2010 WEG in Kentucky, or the World Cup Finals in Las Vegas and Omaha. 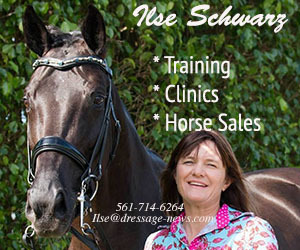 Dressage-news.com last week reported on the procedures followed by the USDA and the International Equestrian Federation (FEI) that imposed a media blackout.